Marfan syndrome (MFS), a multisystem disorder of connective tissue, was described more than a century ago. Ground-breaking advances in the understanding of MFS were punctuated by the discovery of fibrillin, the identification of the FBN-1 as the causative gene, and the dissection of molecular pathogenesis through the creative use of animal models. The role of TGFb signaling in fibrillinopathies and related disorders is the most recent mechanistic development. Respiratory system involvement, although not as well characterized as the classic skeletal, ocular, and cardiac manifestations, can be clinically consequential. 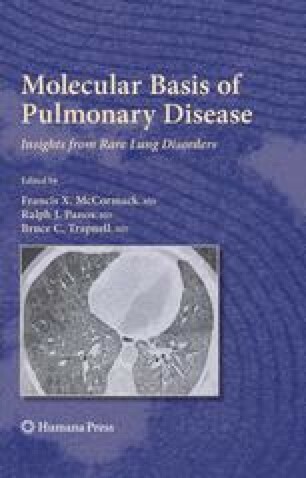 The lung manifestations of MFS may provide a mechanistic window not only on the pathobiology of the syndrome but also on other lung disorders with similar presentations.